The name of the Association is the Dallas Security Dealers Association, dba the Dallas Security Traders Association, a 501(c)(6) nonprofit organization. To become an affiliate member and to promote the objectives and purposes of the Security Traders Association, Inc. The operations of this Association are to be conducted principally in Dallas, Texas. The Annual Member meeting will be held in Dallas, Texas during the months of November or December. Regular Members: Those qualified people actively engaged in the securities business and firms licensed by the SEC and FINRA. Associate Members: Those qualified people, not licensed in the securities industry, but whose duties closely relate them to the securities business. Honorary Members: Bestowed to people not in the securities business by the Directors for services rendered to the securities industry on an annual basis. Honorary Life Members: Bestowed to people who have worked in the securities business and are no longer actively engaged in the industry. Regular Members of the Association may submit names of Honorary Membership candidates in writing, addressed to the Association President, to be voted upon by the Board of Directors. All Past-Presidents of the Association, who are no longer actively engaged in the industry, and who were members in good standing of the Association immediately prior to retirement shall automatically become Honorary Life Members. Membership dues: Reflecting the ever-changing nature of the financial services industry, both Regular and Associate members at all times stand ready to be verified as being engaged in such approved, securities-related, business. Upon approval, both regular and associate members are then subject to standard membership fees and finally afforded full membership privileges. All Honorary and Life Members are exempt from all Association membership dues. Only Regular Members have voting rights. Members who become unemployed, and who are seeking employment in the securities industry, will maintain full membership status without being required to pay dues or fees associated with membership for a period of 12 months, beginning with the date of termination of employment. Such privileges will include attending one annual Dallas Convention without registration charge. The President shall have served on the Board of Directors three consecutive years. The President shall preside at all meetings of Members and the Board of Directors and shall exercise general supervision over the affairs of the Association. Should there be a vacancy in the office of President, or if the President is unable to perform the President’s duties, the 1st Vice President will automatically succeed the President for the remainder of the expired term. If the 1st Vice President is unable to assume the office of the Presidency, the Board of Directors by majority vote shall fill the office. The 1st Vice President and the 2nd Vice President shall have served on the Board of Directors two consecutive years. The 1st Vice President shall perform the duties of the President in the President’s absence, shall serve as Chairman of the Scholarship Committee, and shall perform other duties delegated by the Board of Directors. The 2nd Vice President shall have the primary function of Special Events Chairman and any other duties delegated by the Board of Directors. The Treasurer shall have served on the Board of Directors at least one year. The Treasurer shall have charge of Association funds and shall keep a record of all the properties and indebtedness of the Association. The Treasurer shall, with the approval of the Board of Directors, open such bank accounts as may be deemed advisable. The Treasurer shall be charged with collecting the annual dues levied by the Board of Directors. The Secretary shall have served on the Board of Directors for at least one year. The Secretary shall keep the records of the Association and give notice of meetings and functions to the Members and to the Board of Directors. The Secretary shall also serve as the Membership Chairman of the Association. The number of Directors shall consist of no less than seven in number including elected officers. Upon election, by the membership at the Association’s annual meeting, the President, 1st Vice President, 2nd Vice President, Treasurer and Secretary/Membership Chairman shall automatically become Directors to serve the ensuing year. The other Directors will also be elected by the Members at the Annual Meeting. The outgoing President assumes the position of Past President as an ex-officio member of the Board of Directors for the ensuing year, and is not subject to mandatory attendance. Any Officer or Director absent without cause (Unexcused) from more than three official Board of Directors meetings may be removed by a majority vote of the Board of Directors. A vacancy in the office of any Officer or Director may be filled for the unexpired term by a majority vote of the Board of Directors. This does not apply in the succession of 1st Vice President to President as outlined in ARTICLE II, Section 2. The Board of Directors at its discretion may appoint from the membership up to three non-voting advisory directors. Such directors serve for a one-year term. Any member serving as Governor or Officer of the National Security Traders Association shall automatically become a member of the Board of Directors. The Board of Directors will hold regular meetings during the year to conduct the business of the Association. A simple majority vote shall be deemed to constitute a quorum. The Nominating Committee shall consist of the five current Officers of the Association. In addition, the current Past President will serve in an advisory capacity with no vote. Each September, all members will be notified and solicited concerning their interest and desire to participate actively in the organization as a Director. Any member desiring consideration as a Director shall submit their name to a current Officer or Director of the Association by October 31st of each year. The Nominating Committee shall submit to the Members the nominated slate of Officers and Directors three weeks in advance of the annual meeting in December of each year. Each Officer and Director shall be elected for a term of one (1) year. Nominations other than those selected by the Nominating Committee can be made by a petition presented to the Secretary of the Association endorsed by fifty (50) Regular Members of the Association ten days prior to the annual meeting in December. A Scholarship Fund shall be established by the Board of Directors. Funding will be determined by the Board of Directors on a yearly basis. A portion or all of the Scholarship Fund will be turned over to and administered by an unrelated third party. 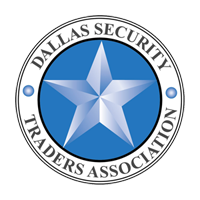 The Officers and Directors shall establish an Advisory Board to be known as the Dallas Security Traders Association Fund Advisory Board (the “Advisory Board”). The Advisory Board is charged with reviewing all applicants for the Scholarship and awarding scholarships. The Advisory Board will be appointed by the Board of Directors of the Association and shall consist of the Chairman and three (3) Association members (who may serve for one but less than five years) The 1st Vice President of the Association shall be Chairman of the Advisory Board. The Chairman will vote only to break a tie. Persons who have served on the Advisory Board may serve again at a future date even though their service may have been interrupted. The Chairman of the Advisory Board shall name another member to serve for a one (1) year period if, for any reason, a member of the Board is unable to serve. At the first meeting of the Board of Directors in January, the President, with Board approval, shall appoint the necessary Committee Chairmen to conduct the various affairs of the Association for that year. No Personal Liability. The members, directors and officers of the organization shall not be liable for any debt, liability or obligation of the organization. Indemnification of Officers, Directors and Agents. The organization shall provide indemnification to its officers, directors and agents in accordance with the applicable provisions of Texas law and the corporation’s Articles of Incorporation. This article is intended to and shall provide the fullest indemnification to directors and officers of the corporation permitted by applicable law, as may be amended from time to time. Amendments to these By-Laws, or their repeal, shall be authorized by the vote of a majority of the full Board of Directors. Notification of proposed By-Law revisions will be made to the regular membership thirty (30) days prior to such vote to allow for a membership comment period. The fiscal year of the Association will be the calendar year. The Board of Directors shall have the responsibility and authorization to make judicious disposition of the funds of the Association to accomplish the goals of this Association. The Officers and Board of Directors may, at their discretion, bestow an “Outstanding Service Award” for meritorious service to the Association. The recipient of this award has lifetime exemption from Association membership dues. All Officers and Directors shall serve without compensation. Officers and Board Members can be reimbursed expenses directly related to executing their positions for the Association. In the unlikely event the Association is ever dissolved, for any reason, all assets, after deducting any liabilities, will be distributed in accordance with the laws governing a corporation organized under Section 501 (c) (6) of the Internal Revenue Code, unless otherwise provided by law. (Under this section, dissolution must be affirmatively voted by majority vote of the full Board of Directors, then by majority vote of the Association Membership. Majority membership vote would then determine whether any remaining funds would be distributed among the then current membership or to a charitable organization). The preceding are the Revised By-Laws of the Dallas Security Dealers Association as voted on and approved by a majority vote of the Board of Directors in August 2016.